The game of golf continues to expand to new markets all over the world, and Nicklaus Design continues to be the vehicle to introduce that game. One of the latest countries added to the Nicklaus Design resume is Bulgaria. 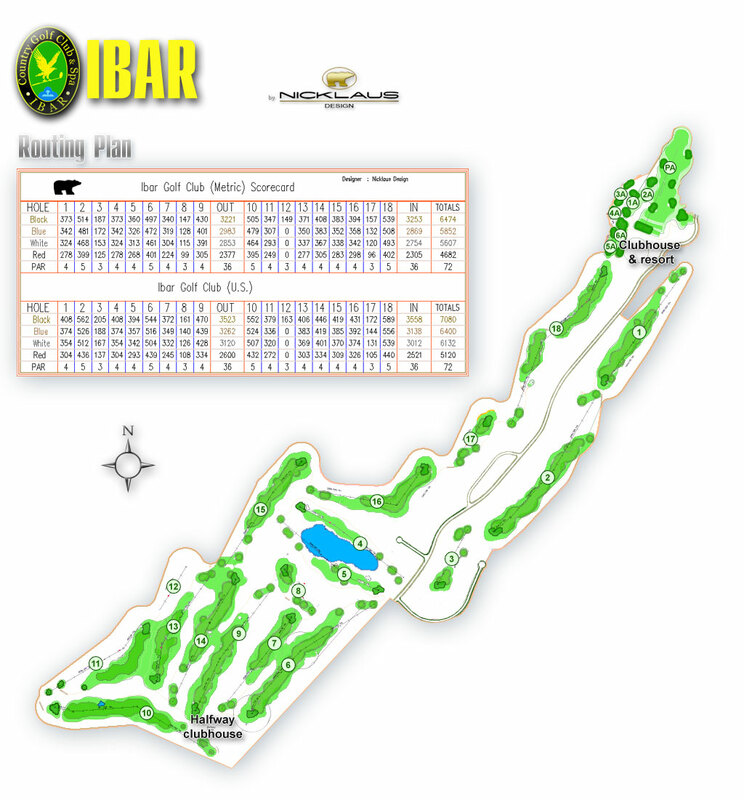 Ibar Golf Club & Spa will be a Nicklaus Design course, featuring Steve Nicklaus as lead designer, and will not only represent the company`s first project in Bulgaria, but also its first in Southeastern Europe. Members of Ibar Country Golf Club & Spa are the owners of properties located within the boundaries of the Club as well as their family members. Members are entitled to use the golf course facilities pursuant to the membership terms. Members have the right to invite guests to the Club House and together to use all available facilities and services pursuant to the membership terms. They are obliged to register their guests at the Club Administration Desk. Only members of the Club and their guests may use the Club Hotel. Members are obliged to maintain their properties to a Club adequate standard. Members have the right to rent out their properties directly or through the Club. Tenants have the status of guests to the owners if invited by the owners and if visiting the Club on the owners invitation. In this case, the respective members is responsible for the tenants actions during their stay on the premises of the Club. If the owners (club members) have signed Property Management Agreement with the Club, then the Club is responsible for the tenants actions on the premises of the Club. The Club provides external security of the whole compound as well as of the common parts around the properties included in the annual membership fee. Inside security, alarms in the separate properties are an additional cost. No weapons are allowed on the premises of the Club neither any security guards or other means of protection (even if the personal security guards are unarmed) in order to avoid any inconvenience that might be caused to the other members and their guests. Farming and stock-breeding is strictly prohibited on the premises of the Club. The speed limit for all vehicles on the premises of the Club is 30 km/h. From 13:00 to 17:00 and after 21:00, no excessive noise is allowed on the premises of the Club without the explicit consent of the neighbors and Ibar`s Golf Club Management. The amount of the membership fee is reviewed once every three years and adjusted according to the accumulated inflation rate in Bulgaria for that three – year period. The membership fee for the respective year is payable by February 28th of the same year. The delay in payment will result in temporary restrictions of the club rights. The temporary restrictions of the club rights are restored once all due payments are made. The membership fee becomes payable at the moment of transfer of the property rights and is proportional to the remaining period of time of the respective calendar year. The type of membership may be changed by the respective member only for the period January 1st – January 30th. During the calendar year a change of the type of membership is not allowed. The membership rules may be modified and supplemented as the project progresses and upon suggestions from the club members. Country Club Membership – It includes the following: maintenance of the infrastructure on the premises of the Club, maintenance of the public gardens, streets, alleys, the cable TV network to each property, external security, free use of the Spa Centre including three baths, swimming pools and sports facilities (tennis courts, football, volleyball and basketball fields). Golf can be played in accordance with the paid services plan. Tee time booking can be made up to 15 days in advance. Golf Club Membership – It includes all services of the Country Club membership plus the following additional rights: members of the club and their families play golf for free pursuant to the rules of the Club. Guest of the members (up to 3 guests) can play golf using a 50% discount on the green fee. The time bookings can be made up to 30 days in advance. The club members and their families have the right to use the practice facility free of charge as well as the golf club trolleys. Members are entitled to a 50% discount on the Golf Instructor`s fees. Members are entitled to a 50 % discount on the Golf Cart fees. 9 Holes Golf Membership – This membership includes security of one`s property and maintenance of the common parts as well as free use of the golf facilities. The free use is for the owners and their families and for their guests/tenants which is an exclusive offer only for the time before the full Country Club Membership and Golf Club Membership are introduced. The full fees will be payable after that time in accordance with the stated rules. Security and Maintenance Membership – This membership includes the security of one`s property and maintenance of the common parts. If the owner would like to use the golf facilities and play golf the prices will be as follows: Green fee for 9 holes (use of Practice Facility included) – 50 eur per person; Use of the whole Practice Facility (driving range,short game,chipping and putting greens) – 20 eur day pass; Driving range (100 range balls included; clients receive 4 tokens which do not have to be used up with in one day) – 10 eur; Short Game Area – 10 eur; Chipping green & Putting green – 10 eur.